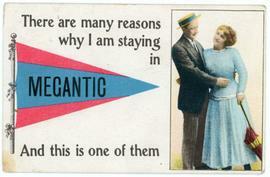 The item is a postcard with the words "There are many reasons why I am staying in Megantic and this is one of them," from 1913. The subseries contains information on the industries and geography of Megantic County from 1907. 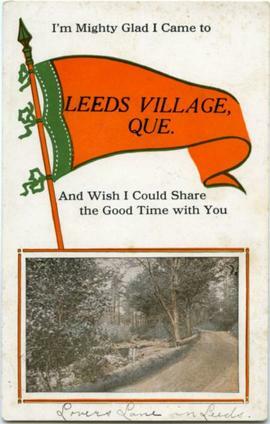 It consists of a postcard of Thetford Mines.